Hey Doc, need to save a life?...there's an app for that! Who would of thought we would see the day, but it's true Doctors can use their iPads and iPhones for just about everything now, including saving lives. Mobile devices are the present and the future of healthcare, but who would of thought they could actually mean the difference between life and death for some patients. Doctors using them in some pretty amazing ways these days and here are just a couple of apps that could very well save your life one day. When it comes to burn victims, time and fluid management is critical in improving the chances of survival. The traditional method of fluid management is a time consuming pen a paper calculating method, which has a high margin of error. After being captain in the Royal Army Medical Crops and seeing first-hand how life threatening burns can be, Doctor Chris Seaton developed an app called Mersey Burns that fixes this deathly problem. It provides doctors with the ability to use the touchscreen on either their iPhone or iPad, to color the burnt areas on torso model created from the burn victims' age, height, and weight. Instantly, the app generates rapid and exact calculations for the amount of fluid needed. 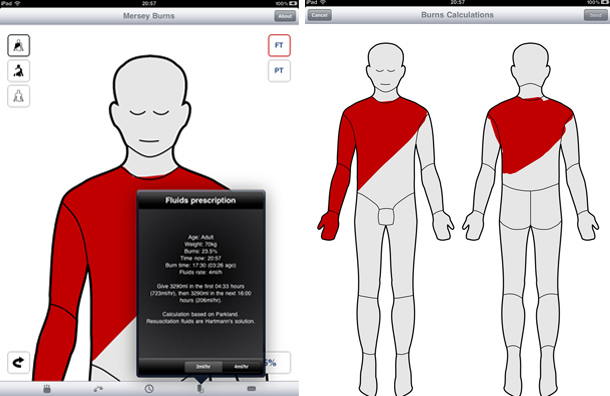 Research has shown that compared to pen and paper, the Mersey Burns app reduces errors by at least a third! Now at first you may think how can a prescription writing app be lifesaving? Well, over a million people are injured and nearly 100,000 people die each year due to medication errors and certain iPad prescription apps have been proven to cut their number of instances by half. A number of errors can happen with prescriptions. Doctor's notoriously bad handwriting may be read wrong by the pharmacist, the doctor could get similar sounding drugs mixed up, or the prescription gets transferred by phone from the doctor's office to the pharmacy, but the people making or receiving the phone calls make mistakes. Here's where the life-saving comes in...There are accurate and approved apps available to doctor that can reduce and eliminate these errors drastically. 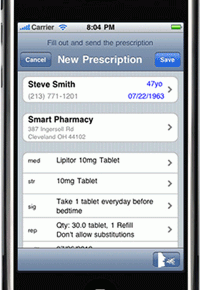 Apps like iPrescribe and RX-Writer include features such as automatic faxing of prescriptions from iPad to pharmacies, writing new prescriptions in seconds, tracking patients previous and current prescription history, renewing prescriptions in seconds, access to the entire FDA database with the touch of a finger, and much more. These two types of iPad apps are only two of the many incredible apps out there that have the ability to save lives and are improving the quality of healthcare as well as making Doctors' jobs a lot more accurate and easier. 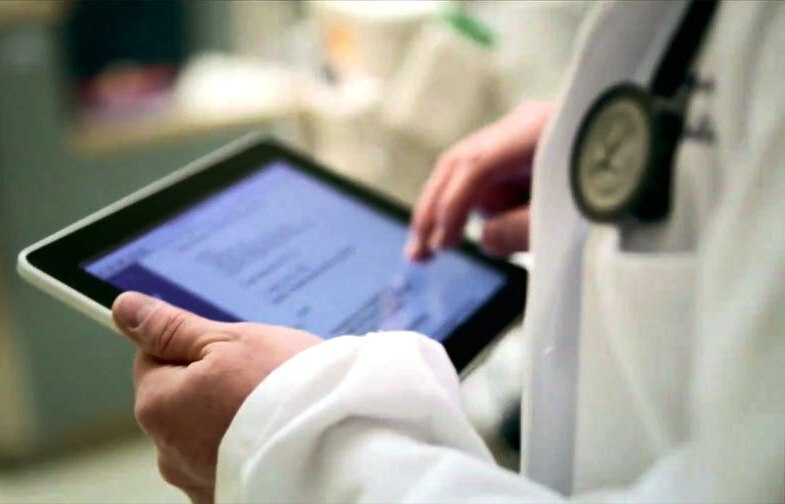 The bottom line is every hospital needs to take advantage of the tremendous abilities the iPad and other mobile devices can have on their hospitals wireless network, but in order to do so first you need the network to do so. The changes needed on your hospital wireless network may seem daunting, but we are here to help! SecurEdge understands the importance new mobile devices and how they create additional challenges for IT departments ranging from new sets of securities, configurations and management. Apple iPads use 802.11n technology and the IT department needs to ensure that these high performance devices do not adversely affect the performance of clients using legacy Wi-Fi technology. 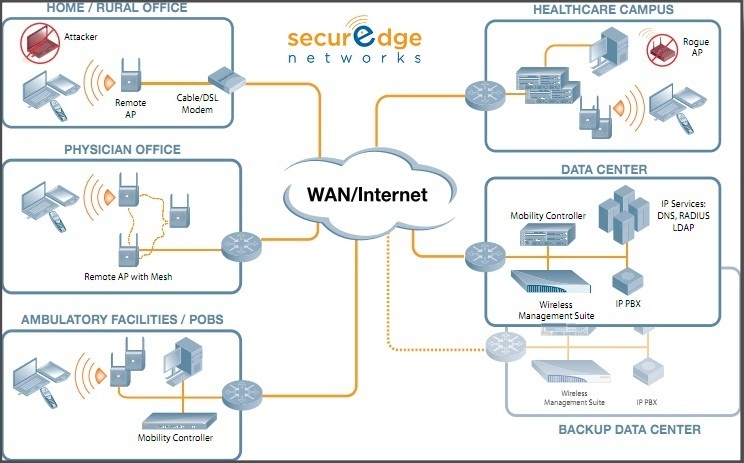 SecurEdge Networks can provide your hospital wireless network with the security and management it needs to authenticate and track users on the wireless network and allow you to implement the use of the iPad and other technology in the future. At SecurEdge Networks we always plan for the future of wireless technology. If you need help preparing your hospital wireless network for the future download our FREE hospital wireless network design kit or contact us with any questions for a FREE consultation.